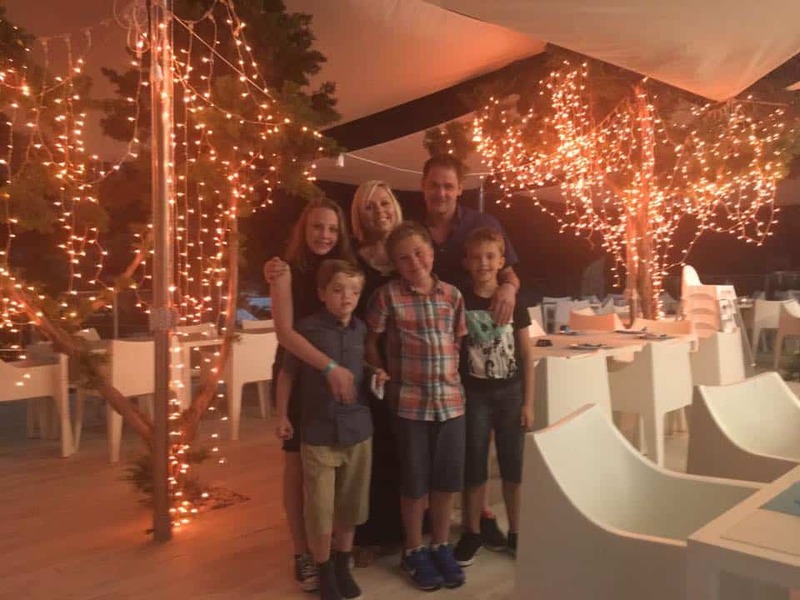 In October 2016, my partner and I decided to take our four children abroad on our first family holiday. This in itself was always going to be a challenge. 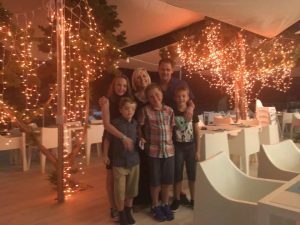 Finding a place that suited everyone’s needs, a destination where the weather was warm enough to keep everyone happy but not too hot that we were grumpy sweaty messes, and a room that fitted the Von Trapp family into it. However, on top of the usual family issues we had another huge factor to consider. My son Harry is autistic. He has global learning delay and is technically classed as non-verbal although his language has developed since being at high school. I’ve caught myself more than once wishing that he’d be quiet just for a minute at times as he rambles on to himself! At the best of times, life isn’t always autism friendly, let alone a holiday abroad! Harry needs routine and stability. He likes to be in familiar surroundings and have everything mapped out so that he knows what is happening around him. He doesn’t particularly enjoy the company of people, long journeys or anything that involves a lot of too-ing and fro-ing, so ten days in a family resort in Ibiza was clearly the obvious choice for a couple of masochists like me and Andrew. Harry and his twin brother Oliver had visited Portugal with their Dad just a few weeks earlier with disastrous consequences. He was so hysterical on the plane journey out that the cabin crew ensured they were the first passengers off. He had several screaming fits lasting hours on end and escaped from the hotel room in the middle of one night. Their Dad suggested that I leave Harry with him for the holiday so that Oliver cold enjoy a break and some time with me. Now don’t get me wrong, I totally agree that Oliver needs a break from the regular chaos of an altered life but I just couldn’t bring myself to leave Harry behind. It was our first family holiday and he is our family. It didn’t feel right to be going without him. But I knew I needed a plan if our holiday was going to be a success. Andrew and I chatted about all the possible things that could go wrong. The potential issues we might be able to predict (you can never know them all!) and the things we could do to prevent or remedy them. My teaching background prepared me well for a life of risk assessments! With the help of Harrys primary school teacher we came up with the following strategies which we employed for the duration of the holiday. Based on the fact that the ten days were a fantastic success I thought I would share them with you now. Check whether the airport you are flying from has a separate procedure for children on the autism spectrum. With the correct proof of disability, Manchester Airport offers a wrist band service to fast track the queues which was a God send for us! I would also suggest emailing the hotel in advance if you have a room preference. For example, if your child is a flight risk then you might not want a ground floor room where they can travel further if they do manage to get out at all ( yes in an ideal world that would never happen but this is the real world and sometimes it does). Also, let the hotel know that you have a child with additional needs and need to skip another long queue at the point of check in. The worst thing they can say is ‘no’ (although I doubt they would) so it’s worth getting in touch with them. Find images of your hotel or apartment both inside and outside. Show it to your child so that by the time they arrive, some parts seem at least familiar. The key here is to do this regularly and use the same language whether that’s just ‘holiday’ or ‘ our apartment’ etc. Don’t expect to show it to them once or on the plane out and for it to sink in. Daily for at least 2 weeks would be my suggested minimum. 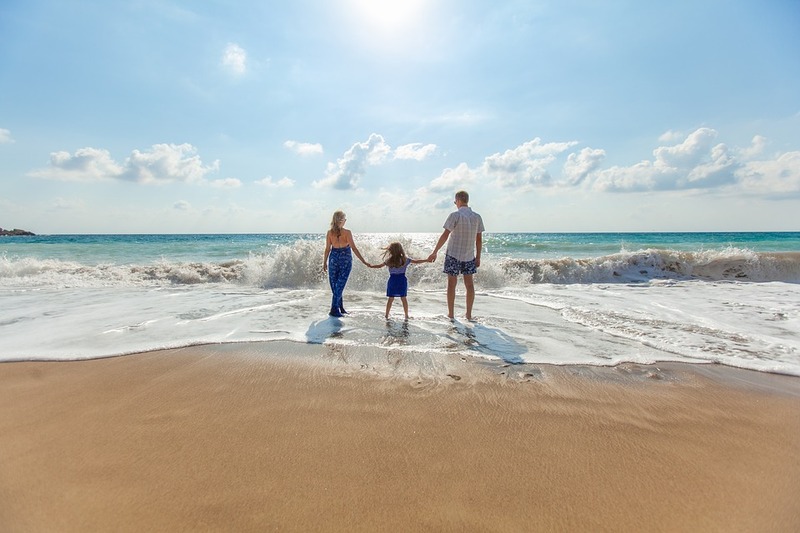 Print off images of all the activities that you expect to be doing such as images of a beach, pool, eating, drinking , sleeping, excursions, evening entertainment. Try to cover as much as you can. Also include images of the home comforts you will be taking too such as toys, ipads or games. Its lovely to take time to explore new surroundings and find your feet over a few days when you arrive somewhere new. Unfortunately, when you have a child on the spectrum with you there is no such luxury. Establishing a new routine is, admittedly, really hard when you’re away from home. Once the image cards have been laminated (I told you I was a teacher. I laminate everything that doesn’t move in a 2 meter radius around me!) 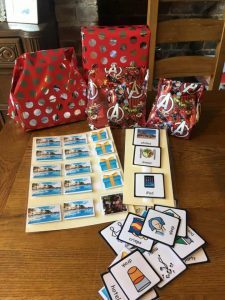 then you can use them with double sided velcro on a piece of laminated card (A5 is fine and more portable) so that you can show the order of the day. Our board only fit 3 pictures at a time so we were constantly updating our ‘now and next’ board but Harry was involved with this and it definitely helped. YouTube is a huge part of Harrys enjoyment in life. One of the reasons he struggled so much in Portugal was because the wifi was weak and intermittent. To combat this, we looked into hiring a portable wifi device for the duration of the holiday. I am a reviewaholic and so after much searching we finally settled on a Tep device. We hired it for 10 days at a cost of about £50 and it was worth every penny. We limited the amount of time Harry spent on his device but the time that he did have was uninterrupted and he was a happy boy. 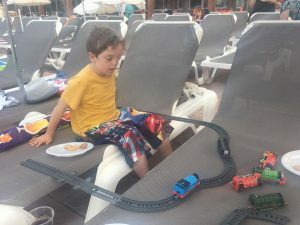 When he wasn’t watching his device he was playing with his Thomas the Tank trains. 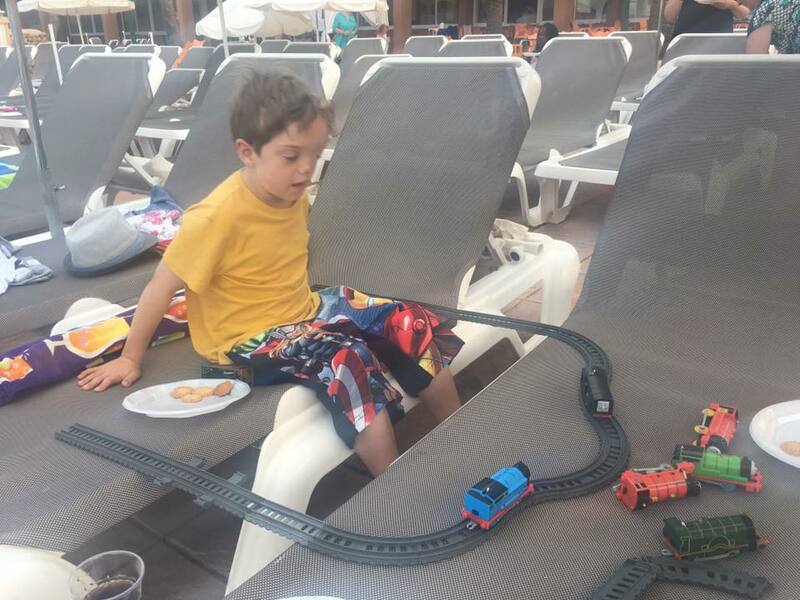 We had taken enough track to create a mini railway that spanned two sun loungers and he spent hours causing colisions between Thomas and friends. Familiar toys are a must, even if it means a few less shoes for you. Yes I said it and yes I’m sorry. As well as the images for the now and next board I also laminated ten pictures of the hotel and one of Harry with his Dad. I stuck these with velcro onto a separate board and each evening Harry removed one so he could see that he was a day closer to going home to Daddy. I will say that we also bought five cheap novelty gifts too and included a picture of a gift at 2 day intervals so he had something to look forward to. All of these things together with a pinch of patience, a dash of persistence and a glass of mojito (for me!) meant that our first holiday was a fantastic success. So much so that we are already planning the next one. 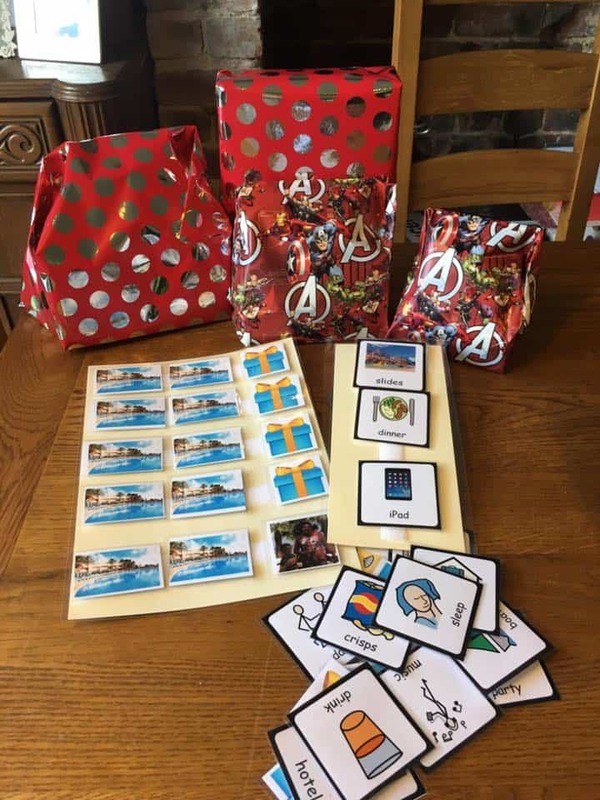 All of the above will be coming with us again to ensure that we have yet another Autism Friendly holiday as a very happy family. I hope it helps other families too. Love this post! This is invaluable to all parents with children who are on the spectrum. As I write this comment I am currently sat in sunny Blackpool with my 13 year old daughter who has ASD & PDA, also my 8 year old step son who is also on the spectrum and has ADHD. Ps your blog is amazing!